When it comes to pampering ourselves, I think I’m not alone when I say I would never turn down the opportunity to be pampered but I rarely make time to. 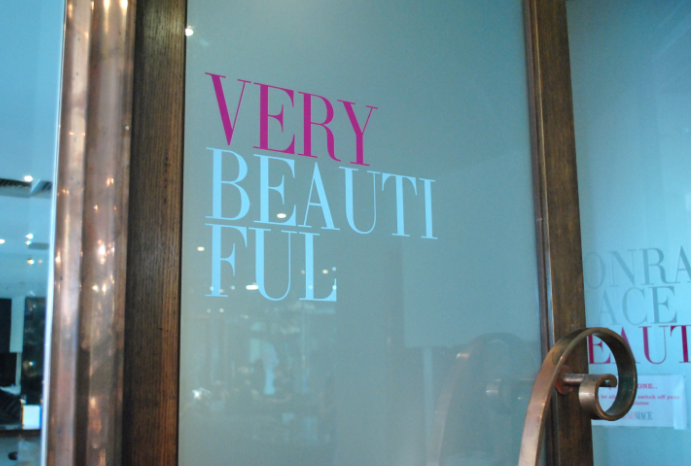 It’s hard to find time in our busy schedules to book a little ‘me time’ in but let me tell you, when I was given the opportunity to head into Conrad Mace, a gorgeous hair and beauty salon in South Yarra, to get my nails done and have a facial, I couldn’t make a booking fast enough! Tucked away in Melbourne’s iconic Como Center, Conrad Mace is a little oasis where you can escape for an hour or two and forget your worries. I was looked after by the gorgeous Kirsty who runs the Beauty side of Conrad Mace. She started by treating me to a manicure and pedicure. I have to say, I’ve had a few pedicures in my life but never placed much importance on them. After a pedicure by Kirsty, I can say that I will definitely be back! As someone who doesn’t take very good care of their feet, it’s always a bit scary making the transition from winter to summer as you can no longer hide your tired and dry soles in boots. Instead, there is renewed focus on your feet, as hot weather means you are more likely to be donning the latest strappy sandals everyday! After my pedicure from Kirsty, my feet literally looked like new. Given that your hands are on show a lot, it’s always nice to treat yourself to a manicure. Kirsty not only revived my chipped and broken nails, but also moisturised and massaged my hands which was most welcome given all the typing I do! Being very indecisive, I had trouble picking what colour to get my nails painted. 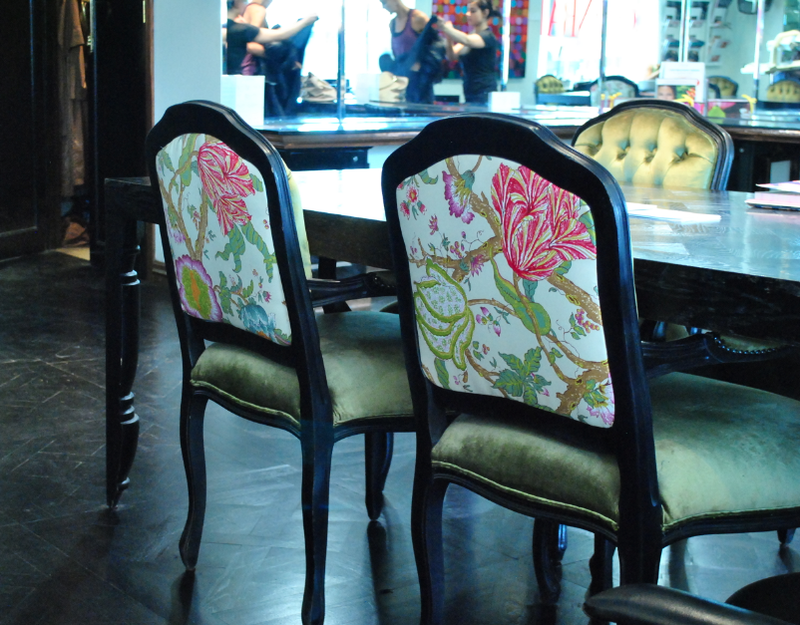 At Conrad Mace, they not only offer a fantastic range of shades but offer regular polish, shellac, nail stickers, anything you can think of, so there are plenty of options to suit every taste. Kirsty informed me that the hottest colours of the season were blue (inspired by the colours bought out in this year’s Chanel Haute Couture show) and white. I ended up going with white which would be perfect for all the Spring Racing events coming up. I find it’s best to get a shellac as the polish doesn’t chip for weeks and it remains glossy for much longer. After my hands and feet were pampered, it was time to look after my tired skin. There are a range of facials to chose from (click here to see the full range), but with my sensitive skin, Kirsty recommended the CoffeeBerry Yoga Facial which goes for 50 minutes. With more antioxidants than green tea, the coffeeberry is the surprise packet in nature’s arsenal against ageing! The Coffeeberry facial offers an all natural alternative to the harsh chemical skin revitalising options, and as an added bonus, it smells great. A face, scalp, head and upper arm massage made me feel so relaxed, it was hard not to fall asleep during the treatment! By the time 50 minutes was up, I didn’t want to leave! Leaving the salon, I felt rejuvenated and my skin was glowing. I can’t recommend a visit to Conrad Mace highly enough. Whether it’s for a manicure, pedicure, facial or all three, you don’t need a reason to spoil yourself or a loved one, make a booking now! A huge thanks to Susie from PR Darling, Conrad Mace and Kirsty from Conrad Mace for giving me this fantastic opportunity! 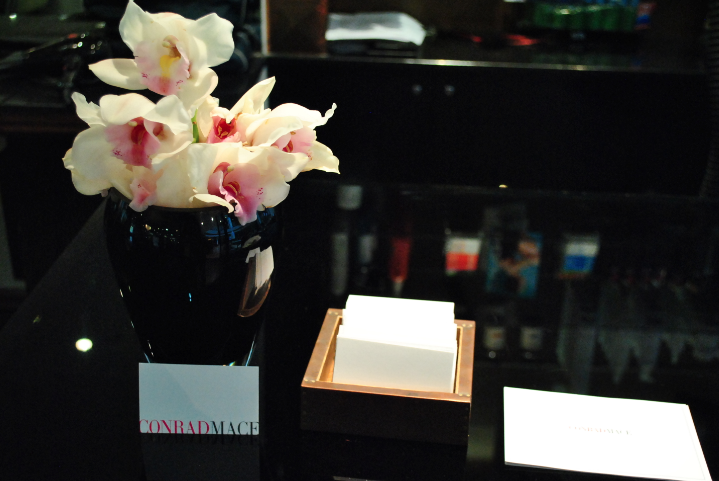 To find out more about what Conrad Mace offer or to make a booking, visit the Conrad Mace website.